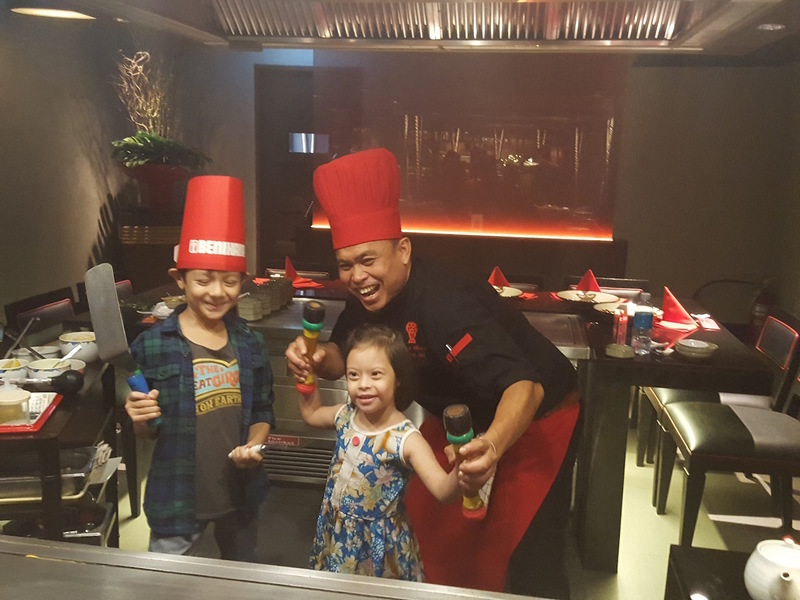 Benihana is one of Bangkok’s best teppanyaki restaurants, perfect for celebrating special occasions with family and friends….We got tempted by the new Saturday / Sunday Teppanyaki brunch offer of Avani Atrium Bangkok’s new restaurant. 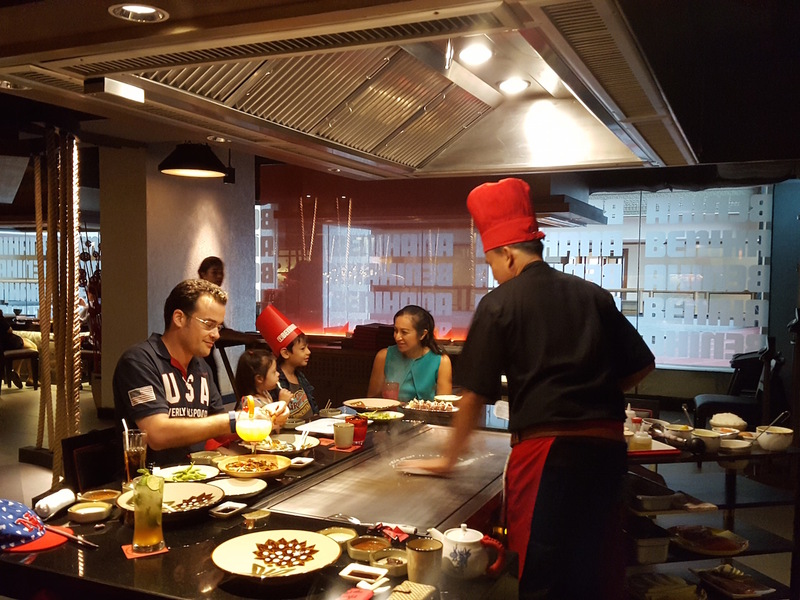 Benihana the Japanese Steakhouse at AVANI Atrium Bangkok is making every Saturday and Sunday a delicious celebration with a special Teppanyaki Brunch at just THB 790++ per person. 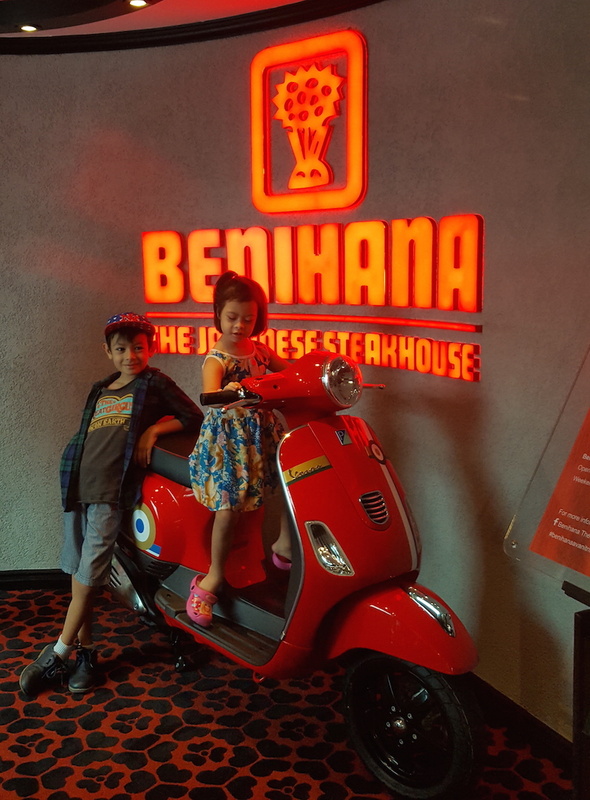 Those who really want to indulge, teppanyaki upgrades give Benihana’s sizzling set menus a gourmet boost. Premium meats include Hakata Japanese rib eye steak A4 grade for THB 2,150++, a US Tenderloin St. Helen for THB 1,400++ and Australian premium lamb chops for THB 450++. Guests who adore premium seafood can select Canadian live lobster 700g for THB 2,550++, Japanese scallops at THB 850++ and yellow fin tuna for THB 300++. We decided to sample on top the regular Brunch menu, some amazing premium items (Hakata Japanese and Canadian live lobster) …yummy ! The oyster bar presents fresh oysters with lemon and Japanese dips. Sushi and sashimi favourites include California roll and salmon sashimi, plus accompaniments of soy sauce, pickles and wasabi. An assortment of Japanese appetisers delights diners with Japanese onion soup, Benihana salad, Walkama salad and Edamame. If you don’t want to eat Teppanyaki, you can also choose a table at Sushi Bar area. 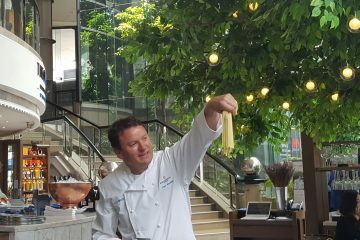 You will enjoy watching chef in action. Kids will love the set up and atmosphere, from drafted kids’s items to Chef’s games and entertainment. We enjoyed watching them perform tricks, tease us, throw ingredients into the air, juggle salt shakers or use those as music instruments while cooking.